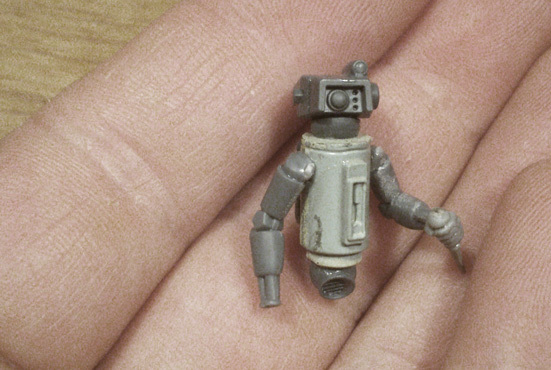 Meet Franz, sneaky, hover-killdroid, leader of of Vulga Magnas rebel robot ruffians. He is currently searching for a new right hand. 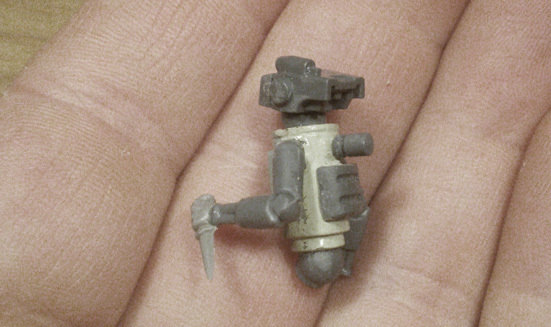 Not sure about either a really huge gun or something more in style with his sleek and humble conversion, just a little mecha-hand from the skitaari maybe. Fun.